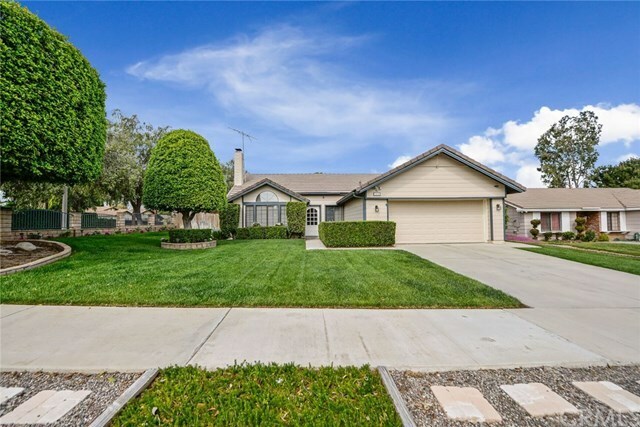 Beautifully maintained single story, 4 bedroom, 2 bath home which is centrally located in a highly desirable area of Corona. Home is located on a corner lot and features a leased SOLAR System that the new owners will be able to take over lease payments, saving them $$$ in electric bills. Spacious family room with beautiful brick fireplace for those cool winter evenings which opens up into the dining room and kitchen area. Updated kitchen features newer stainless steel appliances and granite counter tops. Gorgeous guest/hallway bathroom has been recently remodeled. Backyard has plenty of space for entertaining, including a vegetable garden and a beautiful koi pond with waterfall to help you unwind at the end of the day. Conveniently located to highly rated schools, shopping, restaurants and parks with easy access to the 15 & 91 Freeways.